100% pure organic cotton cap revere collar blouse is smart and comfortable. Free from toxic coatings, ideal for summer months. Our Organic Cotton cap revere collar short sleeve blouse is smart, soft, and comfortable. Ideal for children with sensitive skin, free from toxic coatings. 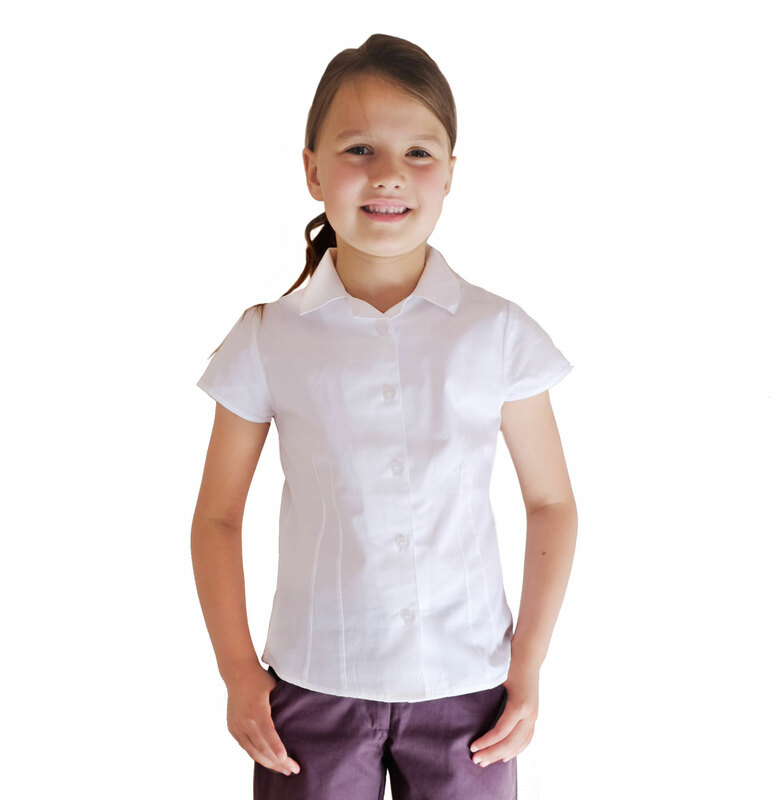 Shirts are good quality and have saved us from buying polyester ones for the school uniform (it's impossible to find cotton revere collar shirts!). I'd advise to buy a few sizes more than your daughter's age, as they are on the small side. Garments can be machined washed, please care for the environment, wash at 30C. For best results, wash garments inside out. Wash with ecological or non-biological washing liquids or powders. White Revere Collar Short Sleeve Blouse made from Organic Cotton was successfully added to your shopping cart.